New. 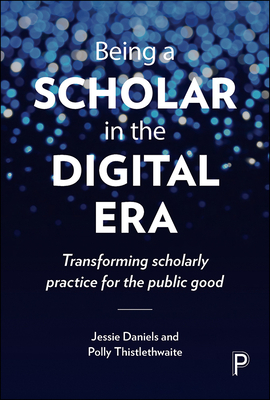 This book offers both a road map and a vision of what being a scholar can be when reimagined in the digital era to enliven the public good. It discusses digital innovations in higher education as well as reflecting upon what these mean in an age of austerity. Num Pages: 176 pages. BIC Classification: JFD; JNAM; JNM; UD. Category: (P) Professional & Vocational; (UP) Postgraduate, Research & Scholarly. Dimension: 158 x 235 x 12. Weight in Grams: 304. 2016. Reprint. Paperback.....We ship daily from our Bookshop. Very Good. 1447329260 Crisp, clean, unread book with some shelfwear and a remainder mark to one edge-NICE. New. 176 p. Intended for professional and scholarly audience. In Stock. 100% Money Back Guarantee. Brand New, Perfect Condition, allow 4-14 business days for standard shipping. To Alaska, Hawaii, U.S. protectorate, P.O. box, and APO/FPO addresses allow 4-28 business days for Standard shipping. No expedited shipping. All orders placed with expedited shipping will be cancelled. Over 3, 000, 000 happy customers.